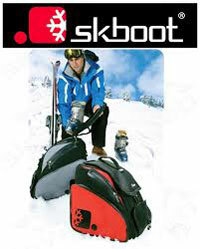 How to choose your ski helmet bags ? The ski helmet is an essential accessory but is not necessarily elegant or fun. It is above all a necessary equipment for which manufacturers are not first looking for originality but focus on efficiency. If the helmet must first and foremost fulfill its role of protection, it is not essential for it to be nondescript. The fanciful helmet covers are appearing on the ski slopes of all countries to the delight of the skiers or hikers who have fun playing the one that will be the funniest or the scariest, according to the mood of the moment. This helmet cover is also an excellent vector of communication, it can convey as well a fantastic animal, a logo, than a particular colour for a group whose members will found themselves more easily simply by identifying the helmets. The personalized or customized helmet cover may very well be suitable for celebrating a family or business event. The participants will keep it well after the festival which will remain etched in the memories. It is also noticeable that skiers whose helmets are equipped with fun covers tend to come into contact with each other much more easily for an overall improvement of the user-friendliness on the slopes. After the ski season, the helmet bag remains a useful accessory for helmet protection during transport and storage until the next winter. Easy to wash, available in all sizes, the helmet cover is the little extra for a successful and fun ski holiday. Parents especially like to be able to spot their children at a glance when they are in the crowd of lifts or even more when they run down the slopes to ski, snowboard or even sledge. To customize the children's helmet and recognize them quickly, practical and fun can easily been combined. By offering them a personalized cover for their helmet, we can be sure that the pleasure will be at the rendezvous. The little boy who goes skiing in Spiderman or sea or land monster to scare his little friends and the young girl who can strut her dreamy creature throughout the ski slopes will appreciate even more their stay in the snow that will turn into a dreamlike expedition. This simple cover in elastic fabric, easy and quick to position on the helmet, available in all sizes for children, change their way of skiing, enchant their imagination, not to mention the photos and videos they will water their social networks at their return. But there may not be only fun for children. There is no reason why adults couldn't enjoy themselves. On vacation we can very well let go and have fun by changing personality. What is more enjoyable than becoming a child again ? For those who do not want extravagance, it can also be very practical and fun to standardize the personnalisation of the helmet of a duo, a family group or a group of friends. Each participant will be delighted to keep this particular memory that will become the symbol of the link that has existed between them.